Most governing documents have provisions concerning dogs, but many lack the specificity required by boards in order to remove the dogs should they be determined to be a danger to the community. 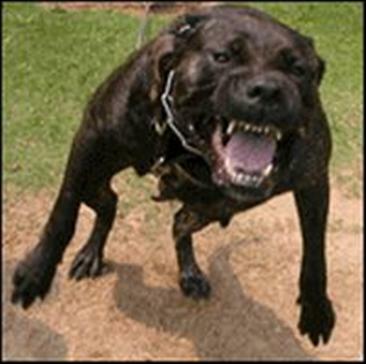 By adopting a policy that provides when a dog may be determined to be a nuisance and must be removed, both boards and pet owners are better served by having specific parameters to assist them when it comes to incidents such as dog bites, lunging, growling, and intimidating behavior or aggression toward other residents or dogs in the community. Additionally, more and more condominium and HOA documents are specifically identifying certain breeds of dogs that are deemed to be dangerous and prohibited in the community. Typically these are the Doberman Pinscher, Pit Bull and Rottweiler breeds. (The origination of these lists of dangerous dogs goes back to homeowner’s insurance policies.) Some documents use a weight-limit maximum for pets, which also serves to prohibit most of the larger breeds of potentially dangerous dogs. Any policies adopted by a board should specify the type and number of incidents and/or complaints that can be used by the board to determine when a dog is a nuisance (or perhaps dangerous) and must be removed from the property. Most dog owners know and understand their own dog’s individual personality and tendencies, so owners will be better equipped to use their own judgment to mitigate potential incidents that are detailed in the rules, such as waiting for the next elevator if another dog owner is already in it with their pet. Also, by establishing in the pet policy the specific number and types of incidents that can be considered aggressive behavior, a board will be able to make uniform decisions when it comes to all dogs in their community – regardless of size or breed – and avoid any arbitrariness in their decisions that could result in a successful challenge by an owner before the Division of Condominiums. Another rule that associations should consider is requiring residents who own dogs to maintain a homeowner’s or renter’s insurance policy to insure against any dog incidents that could occur in or around the condominium property. Associations should also consider the creation of a rule that provides that dog owners agree to indemnify and hold the association harmless from any liability resulting from incidents involving a dog. The pet policies and restrictions in community association governing documents and rules tend to vary greatly depending on the individual property and the prevailing mindset of the community. Community associations that wish to make their property user-friendly for dog owners who abide by the rules should make every effort to enact clear and detailed rules and pet policies that make sense for their community and eliminate the potential for arbitrary enforcement.